Convert your leftover Bahraini Fils coins to cash using our hassle-free online exchange service. Get paid fast for your unused currency from Bahrain. 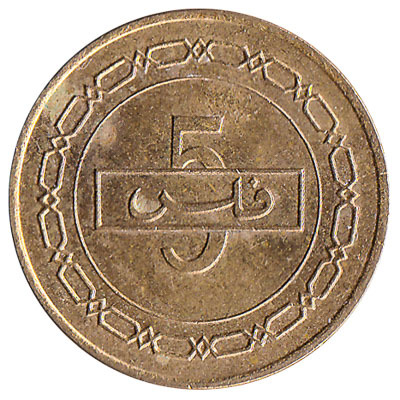 Coins from 100 fils to 5 fils are currently in use in the Kingdom of Bahrain. 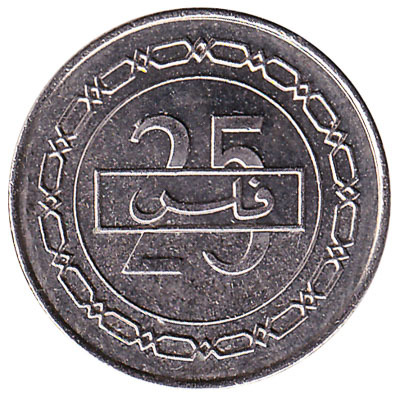 Bureaux de change outside Bahrain do not exchange Bahraini coins. We exchange Bahraini coins for cash. 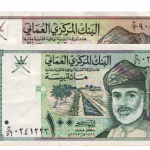 We also exchange Bahraini Dinar banknotes, including older series Dinar banknotes. 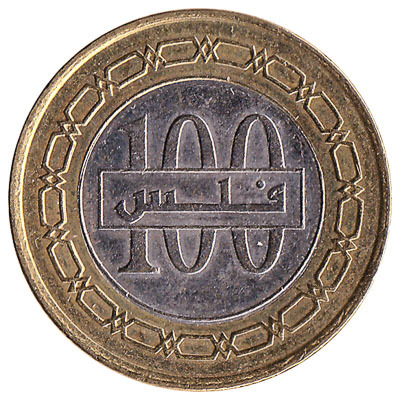 The Bahraini Dinar is subdivided into 1000 fils. 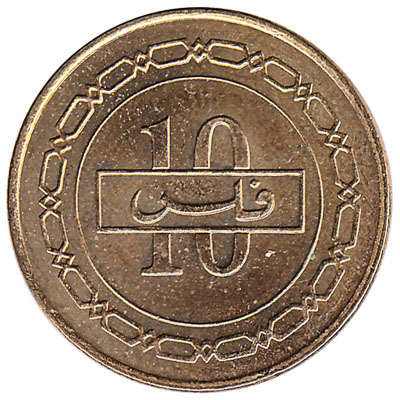 The highest value coin of Bahrain, 100 fils, is therefore the equivalent of 1/10 of a dinar. Be advised that the coin of 500 fils was cancelled following the Bahraini protests of 2011-2014. 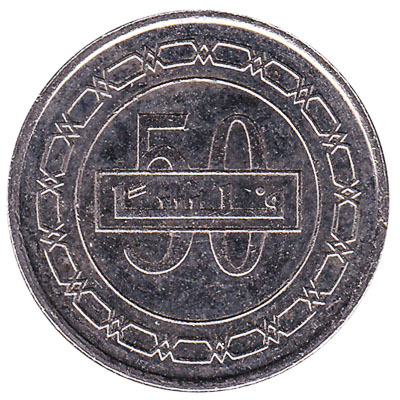 Coins of 500 fils from Bahrain no longer have any monetary value. All other Bahraini coins can be exchanged using our online service. Do you have Bahraini Fils coins like the ones in the pictures below? Add the amount you want to exchange to your Wallet. You'll see exactly how much money you'll get for your Bahraini Dinars. Click on the Wallet symbol to complete checkout and get paid within 5 days of receiving your currencies.